I realize that a lot of my posts about the north are actually about the traveling involved to get there. With northern travel, carefully laid out plans often change at the last minute. In the case of my first trip to Nain in the Nunatsiavut region, due to a number of delays due to fog and mechanical issues, my entire itinerary (and plans to get a full night's sleep) changed and I ended up flying Ottawa to Montreal to St John's overnight to Goose Bay, where I arrived five minutes before my next plane, a chartered flight, was scheduled to depart. But it's all part of the northern adventure. If you can’t learn to adapt to your situation and roll with it, you won’t last long here. It was as we flew over the vast landscape of Labrador that I had begun to feel really excited. I had never been to the Nunatsiavut region of Canada before, and I was curious to know what it would look like. 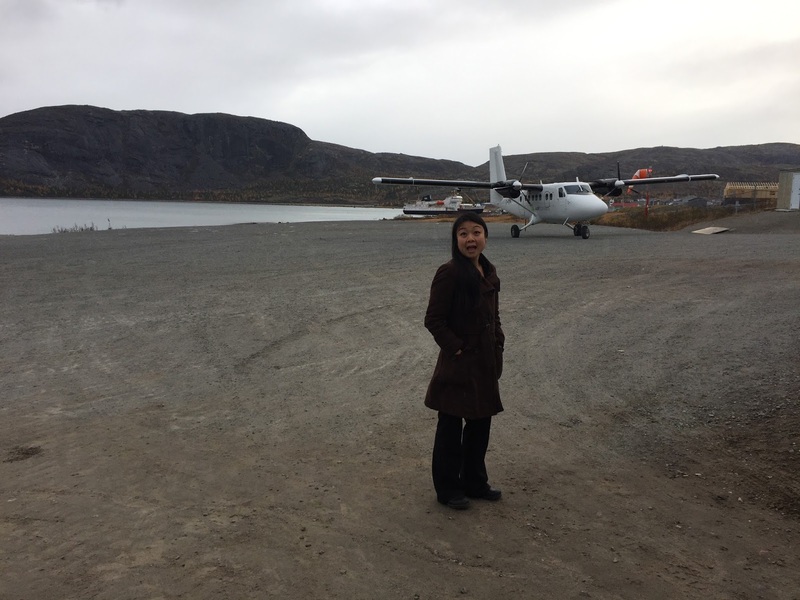 We landed in Nain on a chartered flight in a tiny airplane, landing on a tiny air strip by a tiny airport. I was surprised that my cell phone had no reception here. I'm not sure why that surprised me, because I've been in plenty of remote regions without cell phone service. 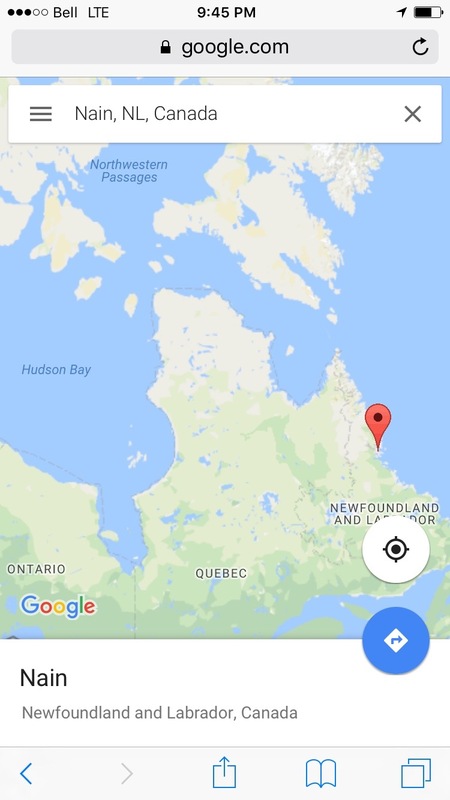 But Bell seems to be present in a lot of places in Nunavut...but then again, I wasn't in Nunavut. It was generally interesting to see the differences between the different northern regions. This was my first time in an Inuit community outside of Nunavut. • The classic post-apocalyptic science fiction novel the Chrysalids was based in Labrador. 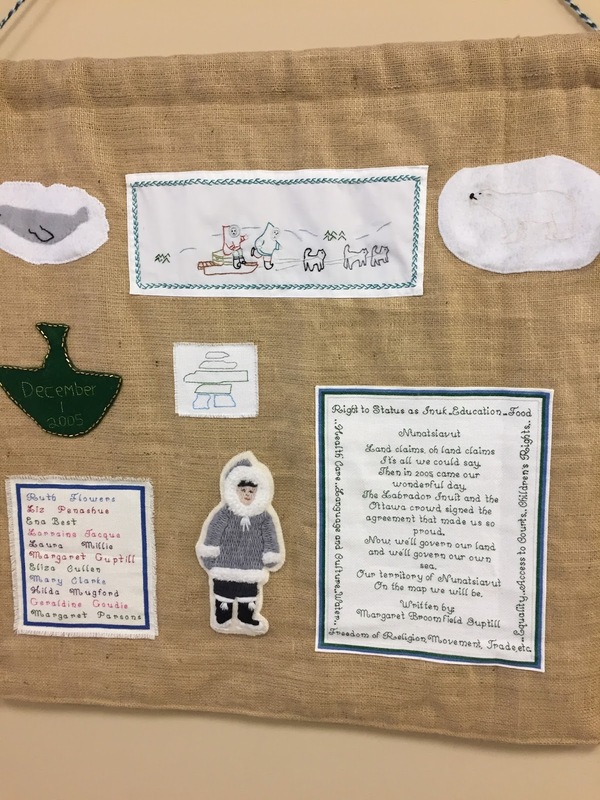 • I once read a novel based in Nunatsiavut written by an author who had clearly never been to Nunatsiavut. 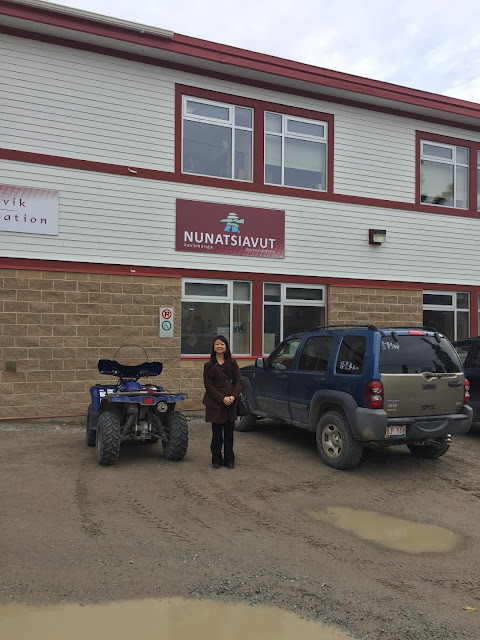 Nain is the administrative capital of the Nunatsiavut region. 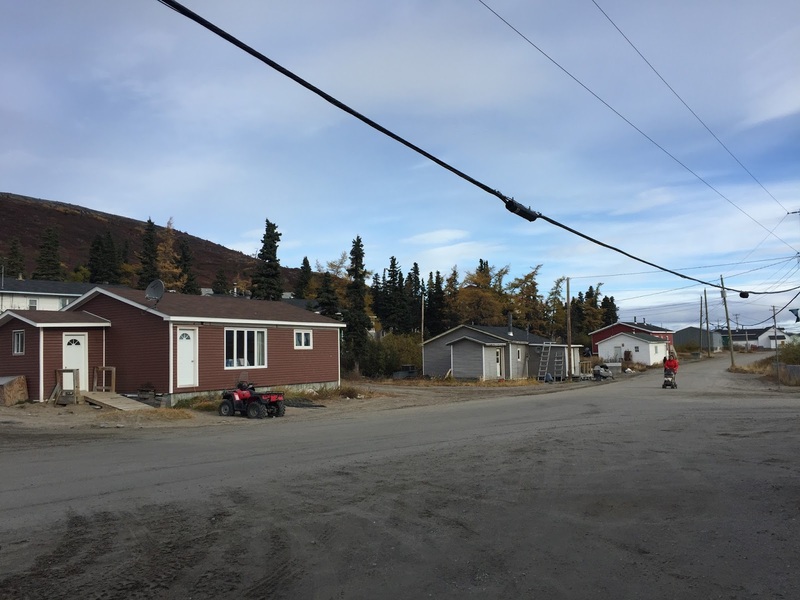 With a population of about 1400 people, it's the northernmost permanent settlement in Labrador, as well as one of the oldest permanent Inuit settlements in Canada, established by Moravian priests in the 1770s. This is in contrast to, say, Cambridge Bay which only really became a permanent settlement in the 1960s. One of the most striking sights for me was all of the trees. 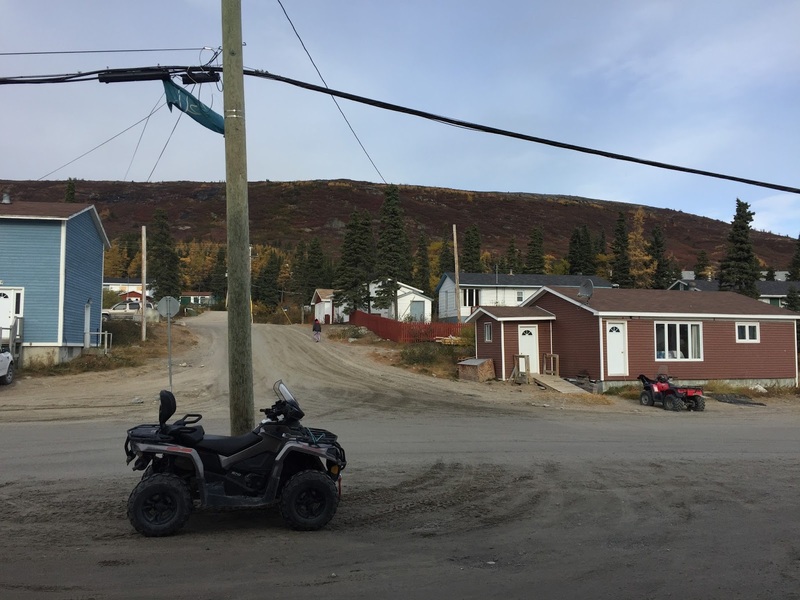 In many ways, Nain very much resembled the other northern communities I had seen in Nunavut, with similar houses in painted bright colour with skidoos parked in the front, folks whizzing by on ATVs, small Inuit kids scurrying around in their hoodies playing with the dogs, and the brisk crisp air (it had snowed earlier that week). And yet, unlike the communities of Nunavut, the community was surrounded by trees, expansive canopies of evergreen trees, dotted with yellowish trees that I thought at first were dried-out dying evergreen trees until a local told me that this is what juniper trees looked like at this time of the year. Since most of my time up north has been spent above the tree line in the Arctic circle, it was fascinating for me to take in this sub-Arctic landscape. Out on the street, I bought a few carvings from a local artist, who with the help of his apprentice carved inukshuks and uluks (in Nunatsiavut they refer to an ulu as an uluk) out of soapstone by hand. I chatted with him about his artwork, which he was very proud of. Maybe this was the exhaustion from a long day, but I felt filed with an immense sense of gratitude at this wonderful opportunity I had to explore such remote and interesting places in Canada, places that even Newfoundlanders rarely had the chance to visit. 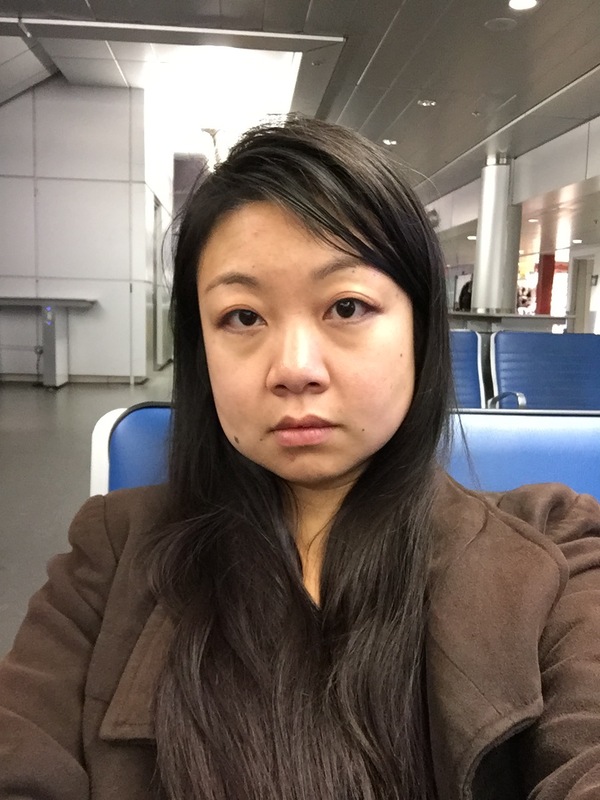 And that in the end is what makes all the flight changes, delays, turbulence, mechanical problems, lack of sleep and general uncertainty of northern travel worth it. 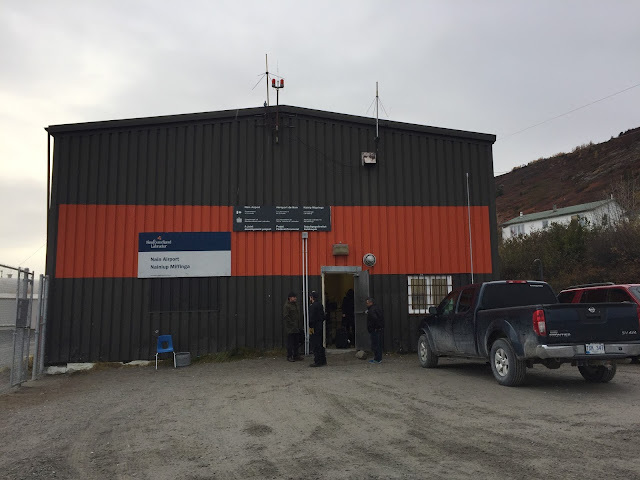 In general, I was awe-struck by just how generous and hospitable everyone in the community was to their visitors. I got to eat home-cooked ptarmigan soup and bannock and meet brilliant people. 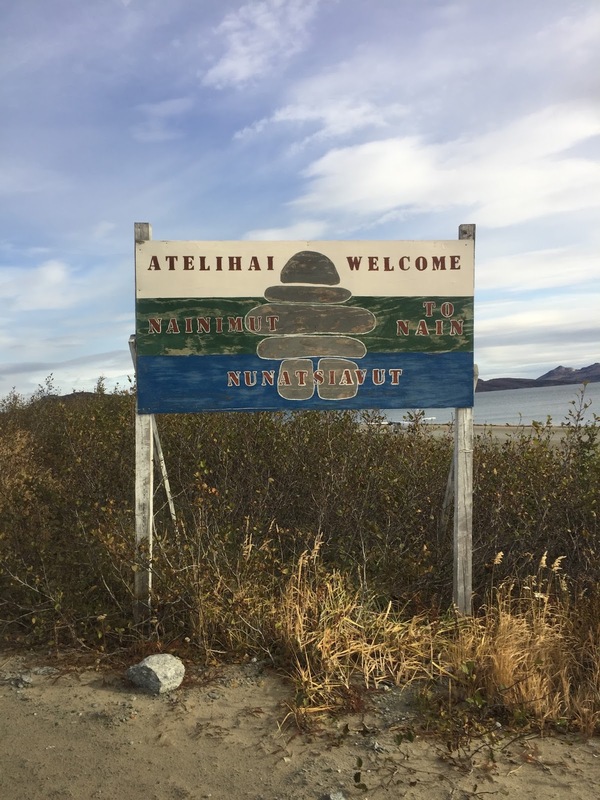 This region deals with a lot of challenges and social issues, like many northern regions and perhaps even more so than some other northern parts. And yet everyone was so friendly and welcoming and just so impressive. I wished I could have spent more time here and was sad to go back so soon to that tiny charter plane waiting for me on that tiny airstrip. 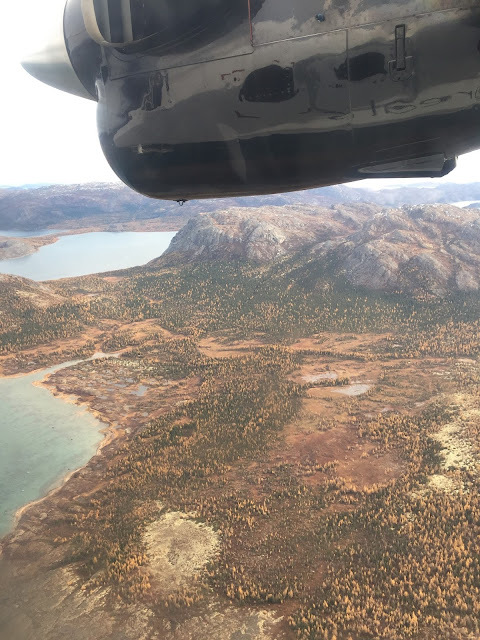 I hope my travels bring me back to the Nunatsiavut region again soon.